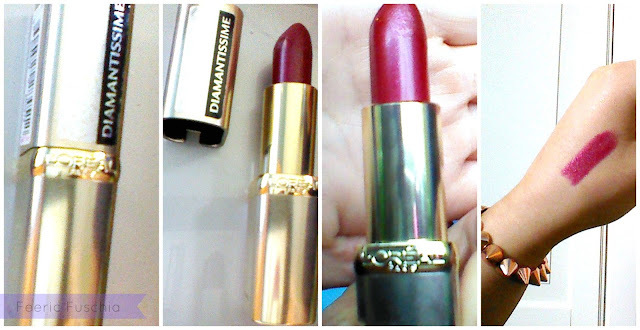 LaBellaVida: L'Oreal Diamantissime Color Riche 325 - Feeric Fuschia Review! L'Oreal Diamantissime Color Riche 325 - Feeric Fuschia Review! For Christmas i received the 'Dress Up In Diamonds' Diamantissime collection box from L'Oreal from my lovely mother. I think this was a gift box given at Christmas for free with a purchase of L'Oreal over a certain price (correct me if i'm completely wrong!). Since my mum gave me two of my fave False Lash Telescopic mascara in my stocking at Christmas she got this box too. 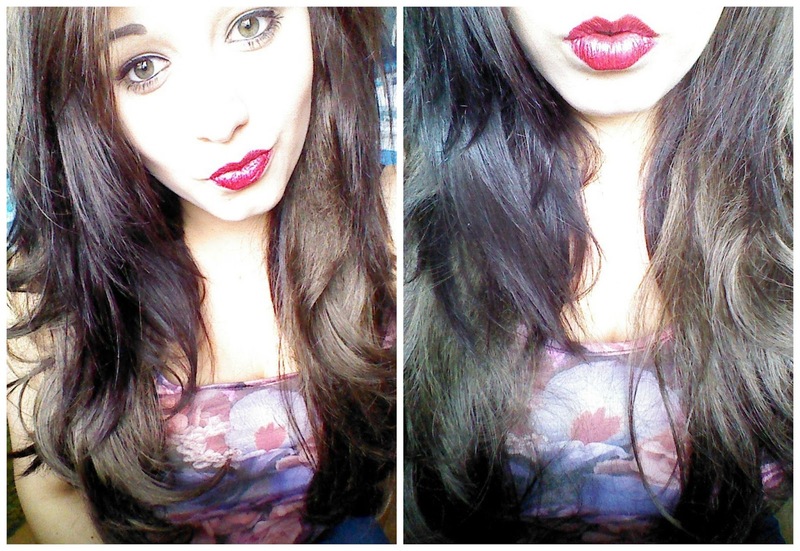 For some reason, i haven't even tried the products from the box yet so i thought i should get onto giving them a go! First thing that caught my eye from the box was this lipstick in 325 Feeric Fuschia. It is a beautiful deep pink colour and has a bit of a subtle shimmer to it on the lips. I think this is more a colour i would wear out in the evening rather than every day as it is a really bright colour on the lips and definitely a statement colour. The picture above shows the shimmer to it and you can just see how it has sort of tiny little flecks of glitter through it. The lipstick is really pigmented and i have found it stays on a long time with really little fading which is always good especially on a night out when you are going to be eating and drinking and you want a lipstick to have staying power! I'm really excited to try the other products from the box and am already starting to love the Volume Million Lashes Diamantissime Mascara from this box which is a sparkly twist on the much loved Volume Million range, review soon! Did you receive this Dress Up In Diamonds box at Christmas time? Do you love the products? Thanks for commenting beauties, i'll get back to you soon! DIY Sweet Tree - Cute Gift Idea! MUA Pro-Base Fixing Mist Review! Copyright of labellavida2. Powered by Blogger.